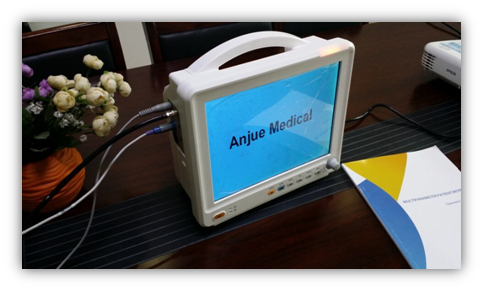 Standard export packing----multi-parameter patient monitor. 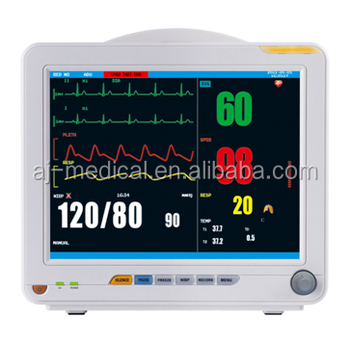 ·6 Standard parameters: ECG, RESP, NIBP, SPO2, 2-TEMP, PR/HR. 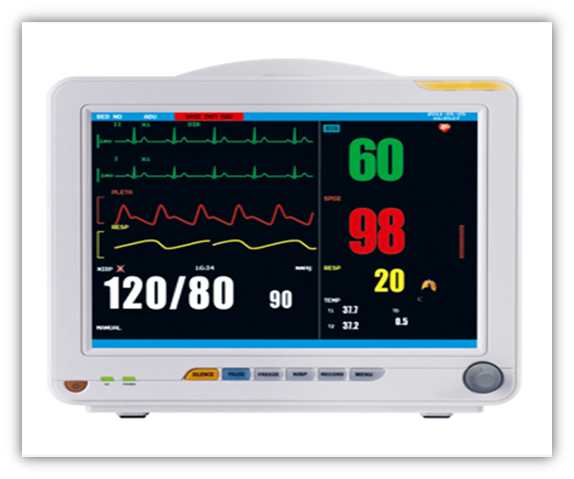 ·12.1"high resolution color TFT LCD display. ·Real time S-T segment analysis, pace-maker detection. ·Indication of Incorrect manipulation and malfunction analysis. 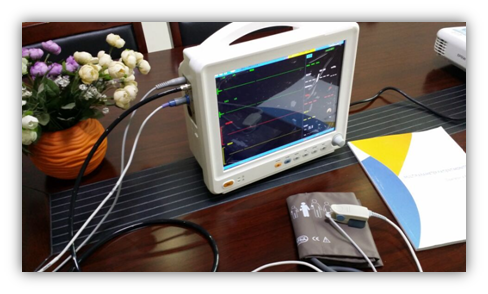 ·Multi-lead ECG waveforms display in phase. ·Large volume of tabular and graphic trends information storage and easy to recall. 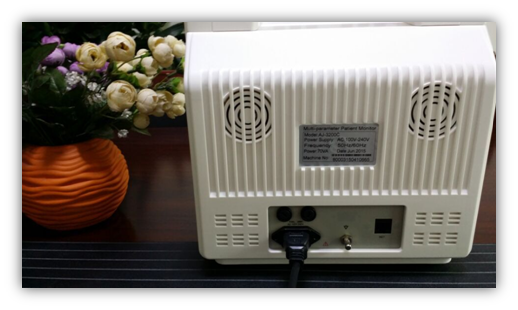 ·Efficient resistance to interference of defibrillator and HF knife. ·UP to 2 hours working capacity of built-in rechargeable battery. 1.Key parts of our products are made of imported equipments. Some key parts are made in Germany and Japan. 2.We offer one year warranty, Provide spare parts with shipping for free within one year and just Charge the cost of accessories once after the warranty period. 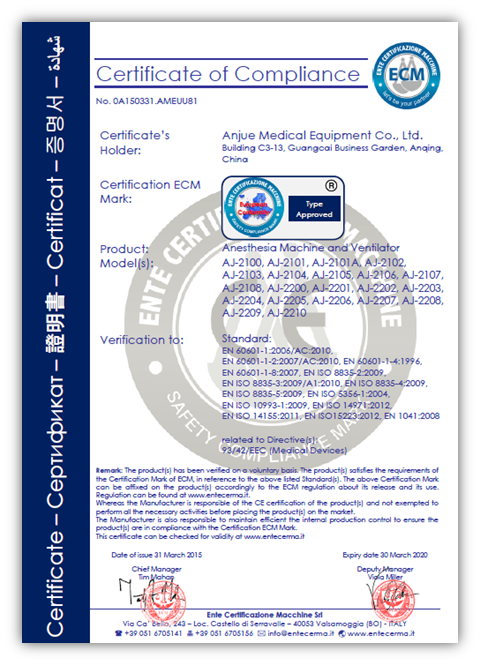 3.Our company is certified company by SGS. 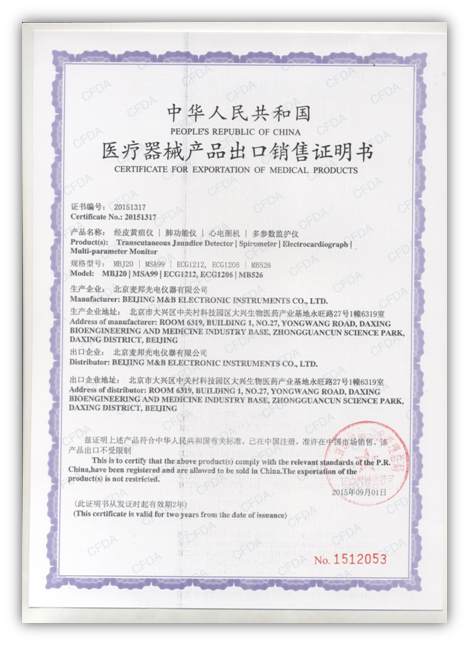 4.Our company is senior member of China Medical Device Industry Association.